A few years ago, I participated in a seminar about creativity. Since then there have been several email updates about creativity in the business world. 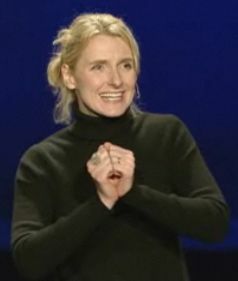 From the latest email, there was a link to a speech from Elizabeth Gilbert. You never know exactly what you are going to get with these kind of emails but this one turned out to be quite interesting. Elizabeth is a writer and has just recently had a major success with her book “Eat, Pray, Love”. She has struggled with the creative process much like any other artist. If you are still interested, please watch the Elizabeth’s TED talk before continuing reading this post. She explains it much better than I could. In her career, she has noticed that writing has always been full of turmoil. So many successful writers have met their doom even at their own hands. Elizabeth questioned why it is this way. Research led to an answer that was unexpected. In ancient times creativity was seen as something that lived outside humanity. It was seen as more like a spirit that influenced artists that were willing to listen. Roman and Greek civilizations were heavily influenced by the view that creativity was at the mercy of the gods. Modern times starting with the Renaissance shifted the creative process solely to the artist. This shift seems innocent based on our focus on science and technology. Unfortunately it puts too much pressure on the creative people. If they consider themselves to be the sole source of original thought, they are also more likely to form regret and blame themselves when things go wrong. Elizabeth points out that it is far healthier to keep the credit and blame outside the person. She talks of how genius used to have a different definition. It used to refer to the outside influence trying to reach the people creating. Now it is seen as a statement of the ego. For a number of reasons, her approach is refreshing. Creative thinking no longer is limited to the framework of how we currently think. The most imaginative influences often come from the most unlikely sources. It makes sense that being this creative is not something than can be performed in the model of an island. Acceptance of new outside ideas creates a mixed pot of blended concepts. From this brew come really new ideas. Regardless, it is very cool to see this kind of insight available on the Internet. With views like this, we are well on our way to a much more interesting future.